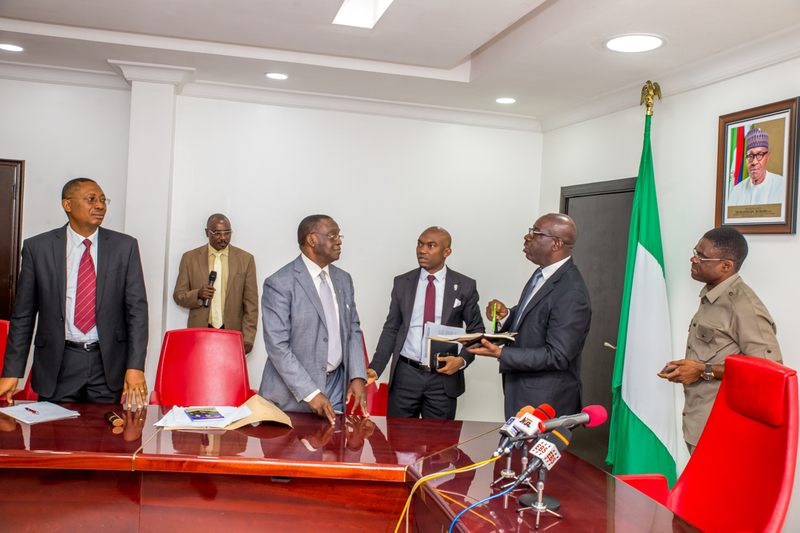 Governor Godwin Obaseki of Edo State has inaugurated a committee to work out modalities for the implementation of the federal government Social Investment Programme in the state. The committee, which will be chaired by the governor, has his Deputy, Hon Philip Shaibu as Vice Chairman, while his Chief of Staff, Mr Taiwo Akerele will head other sub-committees. The governor, addressing members of the Social Investment Programme Steering Committee charged them to work hard to ensure the state’s enrolment into the federal government programme. He listed various components of the social investment programme to include the N-Power Programme, from which over 14,000 people have benefited in the state. Others are the school feeding programme and the National Conditional Cash Transfer programme, which the state was yet to adopt. “I am imploring us to, within a fortnight, finalise all the work we are currently doing to ensure that we qualify people for the school feeding programme. We should also qualify people for the National Conditional Cash Transfer of N5,000 monthly stipend to the poorest of the poor and vulnerable persons in our communities throughout the state’’, he said. In addition, he revealed that the state had finalised arrangements for the kick-off of the government enterprise and empowerment programme in the state, which is also a component of the FG social investment scheme. He mandated the committee to help ensure that communities across the 18 Local government areas of the state were adequately mobilised for the programmes. He also tasked them to gather specific data on the poor and vulnerable in the society and capture them in a social register, which would be updated monthly. “The programme will be data specific; we have to get information about the identity of the persons to be registered. The committee can also embark on any action that will lead to the success of the programme in the state’’, he said. Please how do I get support to get into Farming in the state?